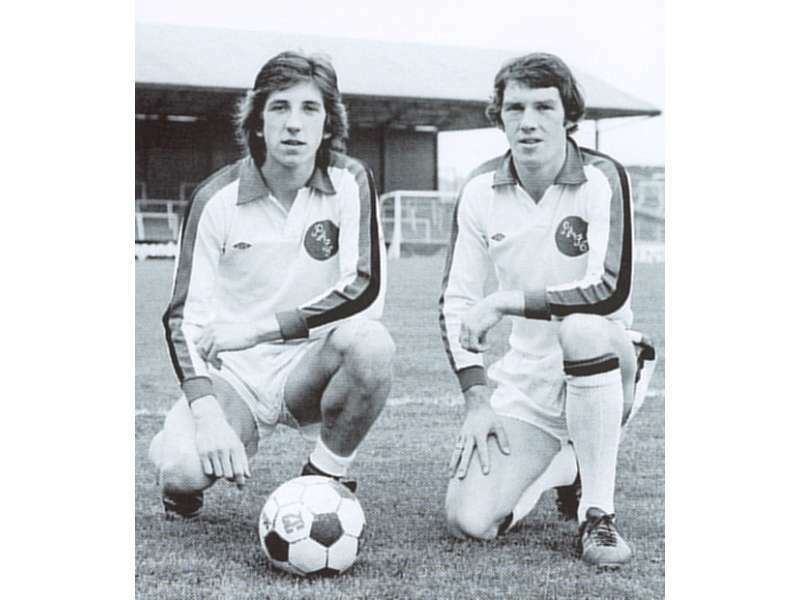 "Featuring Paul Mariner and Billy Rafferty, two of the club’s most popular ever players and arguably their most deadly strike pairing, ‘Dream Season’ tells the tale of one of the golden seasons in Argyle’s history. 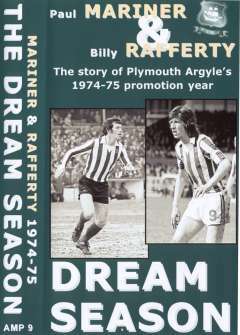 It contains never before seen video footage from critical games of the 1974-75 season; and revealing, exclusive interviews with Paul and Billy, as well as their team-mates from a line-up that will always be remembered: Furnell, Hore, Johnson, Mariner, McAuley, Green, Burrows, Saxton, Rafferty, Delve, Randell, Vassallo – the names still trip off the tongue. Also featuring the evocative memories of Paul Stapleton and vice-chairman Peter Jones, who stood on the terraces to watch Mariner and Rafferty; long-serving Pilgrims’ secretary Graham Little; and Evening Herald Argyle correspondent of the time, Graham Hambly. Released to coincide with the Pilgrims’ centenary season, ‘Dream Season’ is an Argyle Media Production, and will be the first of many Home Park produced videos. It is produced and edited by the club’s head of communications Rick Cowdery, with highly respected broadcast journalist – and Argyle fanatic - Gary Lovejoy, former director of broadcasting at Eurosport, and sports reporter for Westward, the executive producer. Completing the home team is camera and sound specialist Steve Hill. The video, which runs for an hour and retails at £12.99, is available only from the club shop." 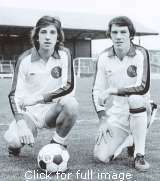 Surprisingly, Paul and Bill played only 50 or so games for the club. 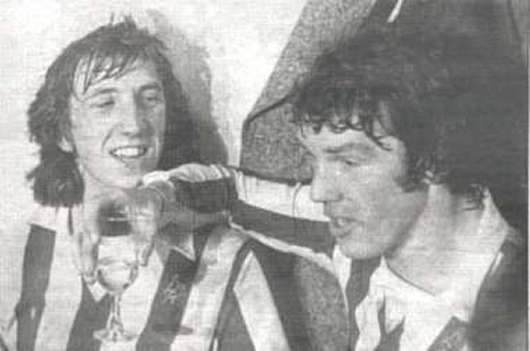 Individually their names appear high up in the list of Argyle greats, but it was their partnership that stood them apart from all others. Mariner and Rafferty or Rafferty and Mariner? Who cares! An Argyle legend. Rupert Metcalf in the Western Morning News: "If you're old enough to remember flared trousers, wide lapels, long hair and a great Argyle team, then this video will bring back to life some wonderful memories. If you're too young, then it will be an education." And a personal view: YOU MUST BUY THIS VIDEO! If you've hesitated so far - perhaps it was before your time - think again. This production is for every Argyle fan, and will bring out the goose pimples whatever their age. Dream Season can only be purchased from the club shop.